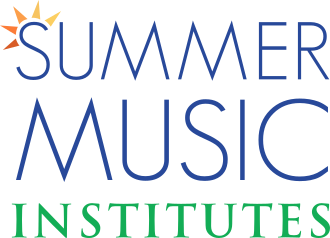 On Sunday, July 30th at 2:00PM, the American Youth Harp Ensemble, the Virginia Choristers and the Chamber Music Institute will present a “UK Tour Preview Concert/Fundraiser” on the Music from Grove Summer 2017 concert series at 7th on Grove, 4101 Grove Avenue, Richmond, VA 23221. After our recent collaborative concerts at Carnegie Hall’s Weill Recital Hall, in the National Cathedral in Washington, and an Alumni AYHE Tour in Belgium, the Netherlands and Norway, talented young musicians from the American Youth Harp Ensemble, the Virginia Choristers and the Chamber Music Institute will collaborate once again for our upcoming tour to Wales and England. Our tour will culminate in a series of concerts with the formal royal harpist Claire Jones, percussionist and composer Chris Marshall, and their International Harp School, including the ‘Proms in the Park’ event, the Welsh version of the famous ‘Last Night of the Proms’ concerts. Sunday’s preview concert will give Richmonders an opportunity to hear these locally-based, internationally renowned ensembles in concert prior to our tour. Music from Grove is more than a chamber music series. Working in partnership with area non-profits, the series promotes awareness and raises funds in support of local charities. A portion of the proceeds from the 2017 season will benefit the HARPS Foundation’s Sound Experiences, a music education program for underserved youth, and the Ministry of Seventh Street Christian Church. Tickets are $20 for adults, $10 for seniors and students. For more information or to order tickets, call 804-837-9355 or order online by clicking here.